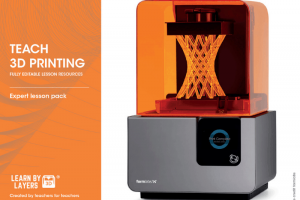 Are you a teacher in the USA and thinking of integrating 3D printing into your classroom? 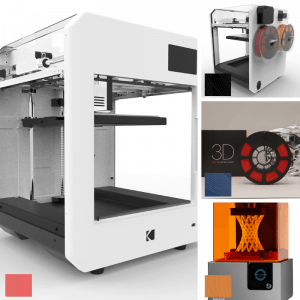 One of the biggest decisions to make is what type of 3D printer to invest in? This can involve a long process of research and investigations, comparing and contrasting multiple brands and that’s before you have even printed an object or even thought about teaching a lesson. 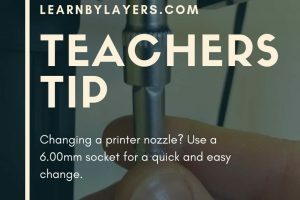 Once you have got to grips with the 3D printer you then have to think about what will you teach in the classroom and where do you find the resources? Do you write your own or do you look for what’s already out there? 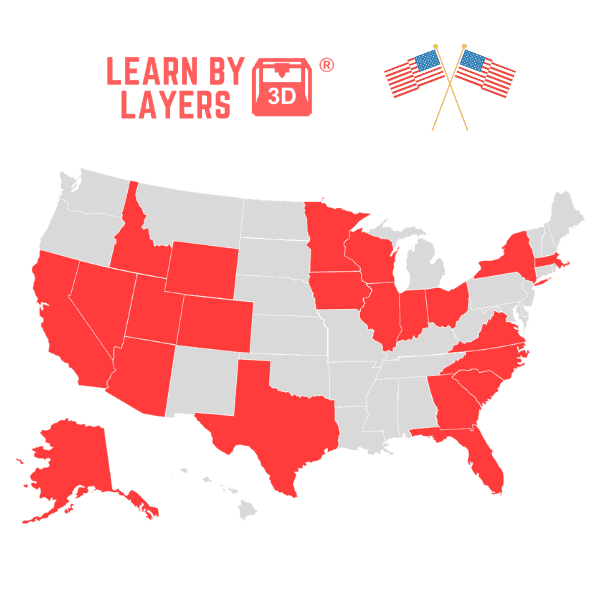 This is where learnbylayers can accelerate your classroom journey with 3D printing. Across the USA learnbylayers is being adopted by teachers who are looking to hit the ground running with a proven standards aligned curriculum. All of our lessons are mapped against the most popular educational standards that are taught in classrooms up and down the country. The main standards met are Commoncore Math, NGSS (Next Generation Science Standards) and the International standards for Technology Education. After extensive research into what teachers wanted in lessons we tailored the curriculum so it would reach many of the major learning objectives of these standards. Why have schools across America embraced learnbylayers? 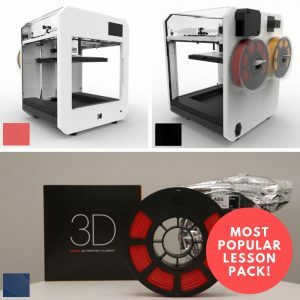 The answer is simple, the lessons are high quality and written and reviewed by classroom teachers who have extensive experience in teaching 3D printing in schools. Our lessons have been peer reviewed and hundred of hours of planning have gone into making a curriculum that meets the need of teachers and students. One of the unique features of the curriculum is the ability of teachers to edit/customise the content. Do you want to change the wording or tweak a question? You can do this with learnbylayers. Allowing teachers to have control over the what they teach is a key feature and why the lessons are so successful. Also all the software that is used in the designing lessons is free to use and is cloud based, allowing for learning to continue outside of the classroom. Students log on in class and then can log on at home and continue designing models. 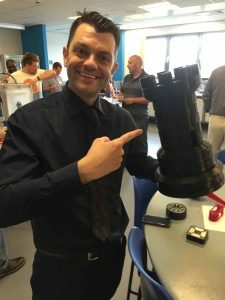 We know how hard teachers work as our founder Phil Cotton has a decade of classroom experience teaching and first integrated 3D printing into the classroom in 2011. Back then there was no support for teachers as 3D printing in education was in it’s infancy. 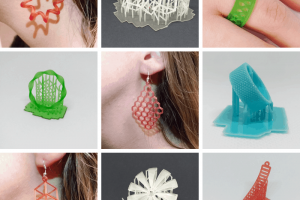 Planning lessons took hours and hours and there were no accessible resources that provided a complete classroom solution to 3D printing with students. 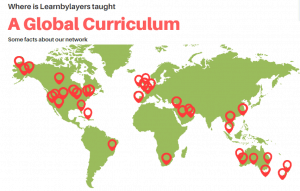 Now with our lessons being taught in 23 countries and most of the states in the USA, learnbylayers is helping teachers and students across the world. If you would like to learn how the lessons are structured, then download the sample lesson to the left of the browser. All lesson packs come with a lesson plan, teaching powerpoint, lessontasks, answer sheets, homework tasks with answer sheets, STL files, video tutorials and assessments. 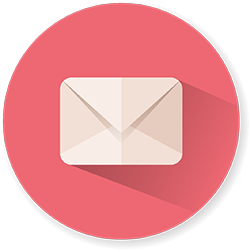 If you have any questions then send us a quick message below and we will get back to you.